UCLA professors Stefania Tutino and Nile Green are two of UCLA’s 2018 Guggenheim Fellowship winners. Three UCLA professors were awarded fellowships from the John Simon Guggenheim Memorial Foundation — Nile Green, professor of history; Eleanor Kaufman, professor of comparative literature; and Stefania Tutino, professor of history and Italian. A total of 173 Guggenheim fellowships were awarded this week to a diverse group of scholars, artists and scientists. Appointed on the basis of prior achievement and exceptional promise, the successful candidates were chosen from a group of almost 3,000 applicants in the foundation’s 94th competition. In all, 49 scholarly disciplines and artistic fields, 69 different academic institutions, 31 states and three Canadian provinces are represented in this year’s class of fellows, who range in age from 29 to 80. 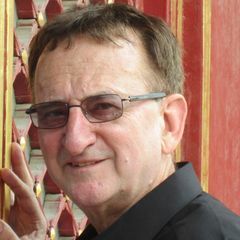 Nile Green is a historian whose teaching and authorship focuses on the globalization of Islam and Muslims. His writings endeavor to bring global history into conversation with Islamic history, spanning the domains of global, social, religious, cultural and literary history. Green’s most recent book, “The Love of Strangers,” reconstructs the beginning of modern Muslim-European exchange by following the first Middle Eastern students to study in Europe. His earlier books have explored such themes as the emergence of industrialized religious economies in the nineteenth century; the world history of Sufism; the making of the world’s largest Muslim community in India and Pakistan; and the Muslim soldiers of the British Empire. Green will use his Guggenheim Fellowship to complete a concise book that asks what global Islam is and where it came from. Eleanor Kaufman teaches in the departments of English, comparative literature, and French and Francophone studies. She received her doctorate in literature from Duke University, her undergraduate degree from Harvard University, and taught at Cornell University and the University of Virginia. Her primary research is on 20th-century French philosophy, with secondary interests in medieval and late-antique philosophy and monotheistic theology. As a Guggenheim fellow, Tutino plans to finish a book project centered on a 17th-century forgery case that provoked a 20-year-long, uniquely intricate, and at-times dramatic debate in the Roman Curia over the authenticity of the documents on which the forgery was based. Her book provides a fresh perspective on the relationship between historical criticism and theological commitment in early modern Europe, and on the role that record-keeping, evidence and proof played in verifying the authenticity of the past. Since its establishment in 1925, the foundation has granted more than $360 million in fellowships to more than 18,000 individuals, including Nobel laureates, Fields medalists, poets laureate, members of the various national academies, and winners of the Pulitzer Prize, Turing Award, National Book Awards, and other important, internationally recognized honors. The Guggenheim Fellowship program remains a significant source of support for artists, scholars in the humanities and social sciences, and scientific researchers. For more information on the fellows and their projects, please visit the foundation’s website at http://www.gf.org. 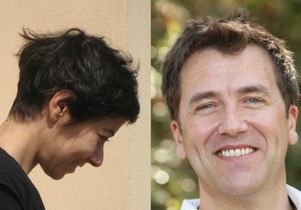 Stefania Tutino, professor of history and Italian at UCLA, and Nile Green, professor of history at UCLA. 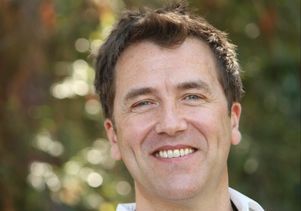 Nile Green, UCLA professor of history. 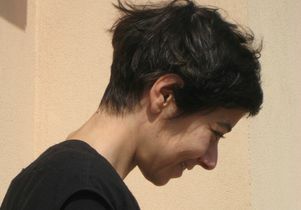 Stefania Tutino, UCLA professor of history and Italian.